Rewind to Christmas presents of years gone-by: a Lego pirate ship, a Hornby railway set, Ghostbusters figurines, Airfix models, but not this Christmas. 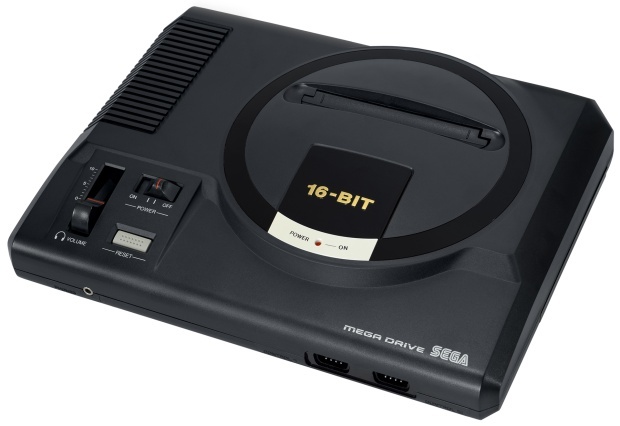 This year, I was getting a Sega Mega Drive II. Not to say I hadn’t had any gaming experiences up until that point. I remember countless summer holiday afternoons at my cousin’s house, transfixed before the monitor of his Amiga 500. Me and my brother would burst through classics such as Mortal Kombat, Another World, Cannon Fodder and Desert Strike. I’d ride my bike to my friend’s house most evenings after school for SNES-powered Street Fighter II tournaments (I’d always pick Dhalsim). This particular friend was also the owner of a NES (WITH NES ZAPPER!) meaning we became experts shots at Duck Hunt. At home, the closest me and my brother had to a games console was a Commodore Vic 20, bought by my dad. No games spring to mind here, just endless loading times, coupled with the loud mechanical screams of the cassette tape deck. Now, Canary Wharf has grown significantly since that time and so have I. But I remember being transfixed by that swively chair with it’s built-in TV, but mostly by the blue blur – Sonic the Hedgehog. 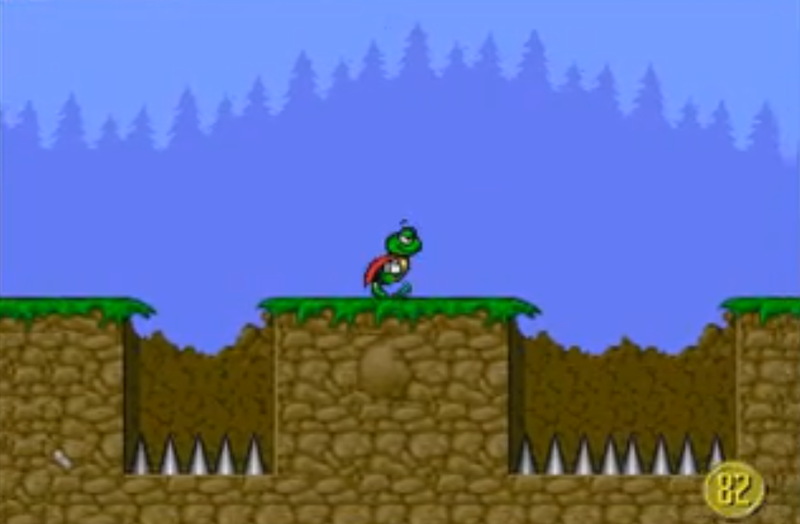 Eager to get my platforming fix, my cousin with his Amiga pointed me in the direction of Superfrog. It had speed, it had spike pits, Superfrog’s feet whirred round in a blur when he picked-up speed, just like Sonic, but it just wasn’t the same. Superfrog on the Amiga. Look familiar? Fast-forward back to Christmas Day 1993 (or rewind, whichever you prefer). It was now 6 a.m. and my brother and I had made our way down to the living room, where we saw a large box sat under the Christmas tree. We unwrapped the box together and there it was, a Sega Mega Drive II, bundled with a copy of Sonic 2. So excited we were, that we opened the box there and then to check the console was actually there. Of course it was, along with a copy of Mega Games I (a compilation cart comprising of Super Hang-On, Columns and World Cup Italia ’90). Upstairs we went, plugged-in the console, attached the RF unit, and tuned it up to channel 9 on our old Mitsubishi portable TV (the same used on the old Vic 20). In went the Sonic 2 cartridge and “Segaaaaaaa” it began. I remember that day, sat on the bedroom floor, absolutely transfixed in front of the TV. The colours, the speed, the music, one-player mode, two-player mode with my brother, eating our gifts of sweets and chocolate as we went. I was hooked for hours. 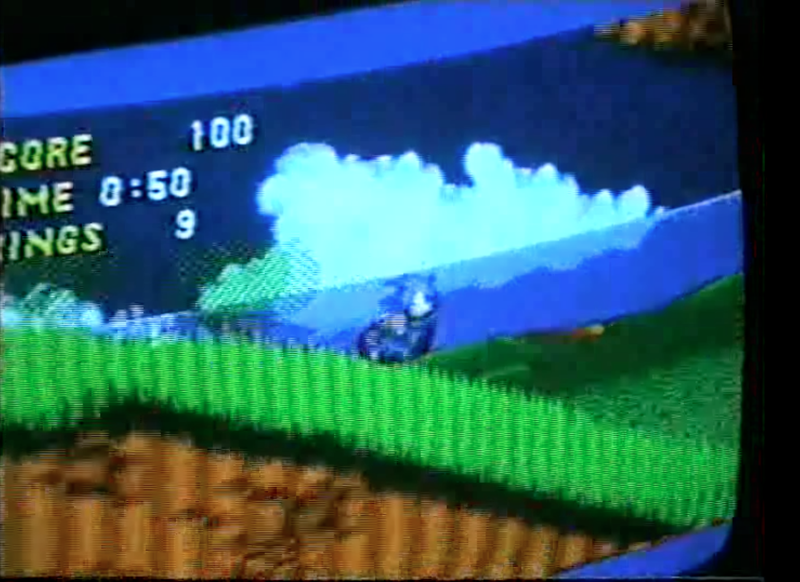 The Mega Games cartridge made a brief appearance, but was quickly replaced for more bursts of speed round the loops, down the slopes of Sonic 2. My first minutes with Sonic, captured with my father’s camcorder. Grabbing a few minutes break, I skimmed through the manual, absolutely astonished to discover the game had special stages. Sonic was quickly fired-up once more. 50 rings, through the checkpoint, jumping into the swirling stars and whoosh! Emerald Hill Zone. Christmas Day morning 1993. I think I reached Mystic Cave Zone that day. The falling rocks and spikes of Dr Robotnik seemingly getting the better of me (and it’s Robotnik NOT Eggman). Going to bed that night, I couldn’t sleep, just like earlier that morning. Maybe it was the hours spent in-front of the TV that day, maybe it was the sheer amount of sweets I’d eaten (strawberry and banana toffees if I remember correctly). I closed my eyes and all I could see was the blue hedgehog speeding his way through the lush green landscape of Emerald Hill, the music ringing through my ears. What must have been several hours later, I opened my eyes. I had got to sleep eventually, but now I found myself wide awake, to the sound of my brother screaming in the bunk below. “Dad! Dad!” What on Earth had happened? “Daaaaad!”. Moments later, my father burst into the bedroom, switching on the light, his expression turned to one of absolute terror. My gaze followed his, focusing on the Mega Drive, on the floor by my brother’s bedside. The console was covered in vomit (too many sweets. I knew it). Time seemed to stand still as the cartridge slot flaps slowly drew open under the weight, allowing the sickly substance to gently pour itself into the console. Disaster! My dad quickly retrieved a screwdriver, handfuls of tissue and a hairdryer, opening and cleaning the console in an effort to quickly save it. Following the clean-up operation the Mega Drive was powered-up to no avail. A blue screen of death. The 26th December 1993 saw the arrival of a replacement Mega Drive II, and some crafty explaining by my father as to how Santa had managed to deliver a present the day after Christmas. Though my time with Mega Drive console number one had been brief, what little time we shared together, consequently with console number two, set me on a journey of pixel-based joy and discovery, one no other console afterwards came near to replicating.